26 August 2009, at 9:14a.m. GLOBAL - Orka Food Technology Ltd has launched a new version of its market-leading egg quality testing equipment, EggAnalyzer. The EggAnalyzer measures an egg's weight, albumen height and yolk colour, and automatically calculates the Haugh unit and USDA-grade in just 17 seconds (patent pending). 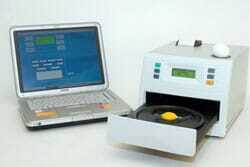 EggAnalyzer's cutting-edge technology answers the need for consistent, accurate and objective egg-quality testing. Prior to EggAnalyzer's release in 2006, traditional testing methods provided subjective and inconsistent results. You can find out more about EggAnalyzer by clicking here of e-mail info@eggtester.com.